Shumaker Gun Works is located in Stephenville, Texas. We offer a full range of gunsmithing services including general repair, bluing, gun kote, accurizing, and custom built rifles and handguns. 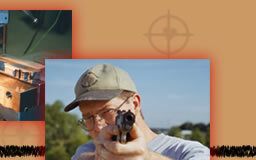 We also offer Federal Firearm Licence (FFL) gun transfers and a full machine shop for all your custom gun needs. Visit Shumaker Gun Works, where experience and training hit the mark!